Every year, Le Diner En Blanc occurs throughout the world. What started in Paris, France 30 years ago now happens throughout the USA, Europe, Asia, Middle East, Africa, Canada, Austrailia, Carribeans, and more! So what is Le Diner En Blanc? 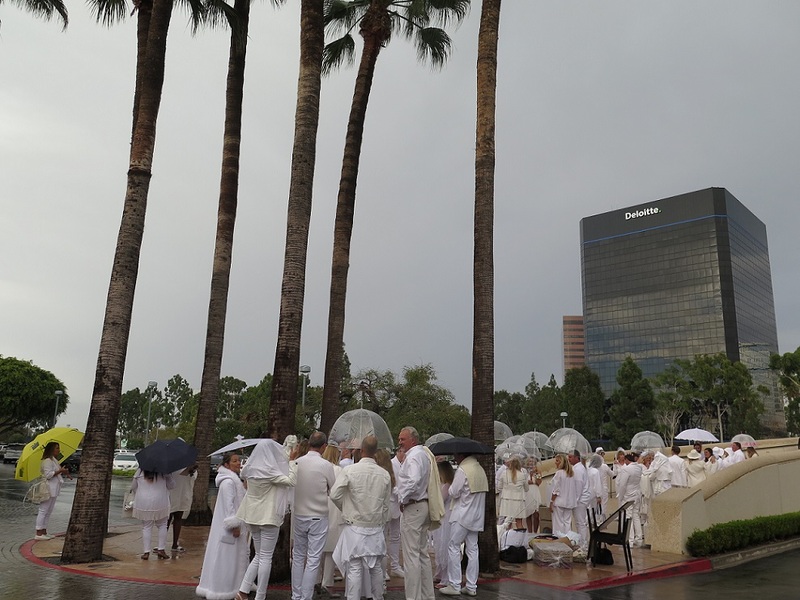 It's a secret gathering of hundreds - sometimes even thousands - of people who come together for an all-white outdoor picnic. 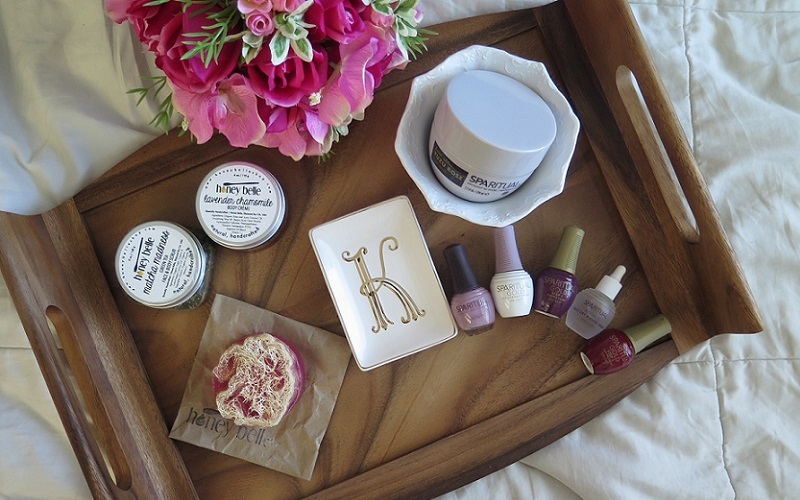 Yes, you read that right: it is an all-white affair! Meaning guests are dressed in all white and bring their own white tables, table cloths, chairs, and decor. 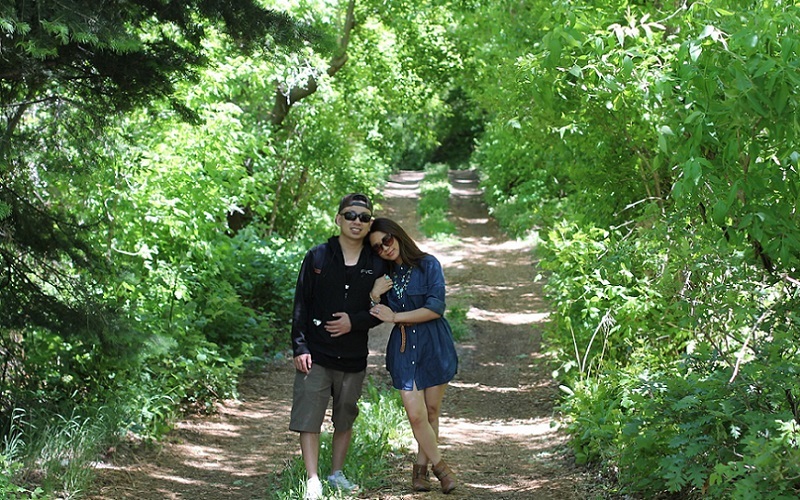 They can also bring their own picnic meals or purchase it in advanced to pick up at the venue. Participants sign up for this private event in advanced but they do not get to know the location of the event. On the day of the event, the location gets revealed to guests. This was done so that it could be kept a secret as long as possible.The outdoor picnic usually takes place at a popular city public space. It gets closed off for the night so guests can enjoy the festivities without the interruption of outsiders. Le Diner En Blanc finally made its way to Orange County and I am so happy for it to be in my county now! I was first invited to the one in Los Angeles when it started there but I couldn't make it. Then when I heard they were going to have a separate one in Orange County, I was so enthusiastic cause now it's closer to me! 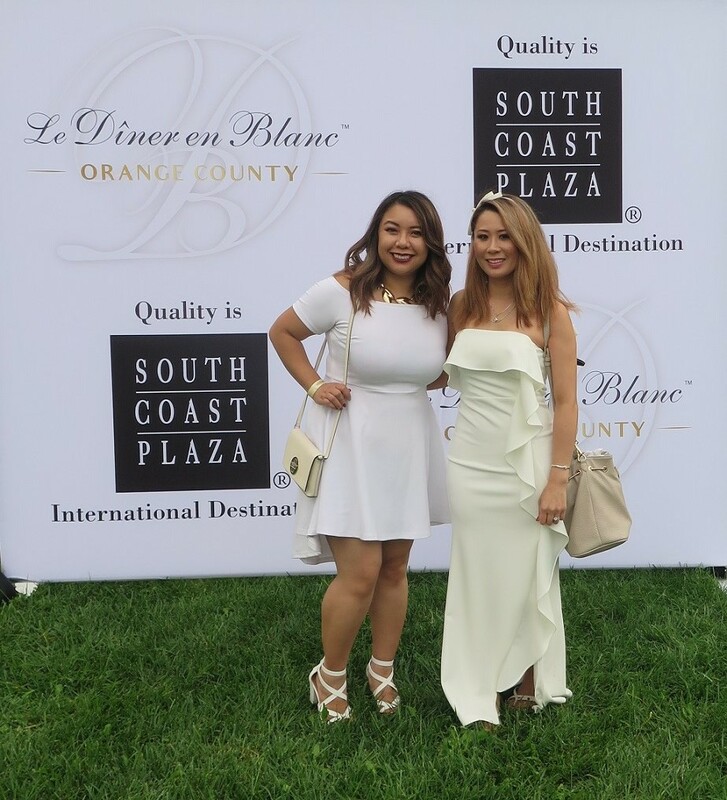 I was bummed that I was unable to attend the first Le Diner En Blanc in Orange County last year (it was held right on the beach!!) but I knew this year I was going to make it no matter what. And so I did. 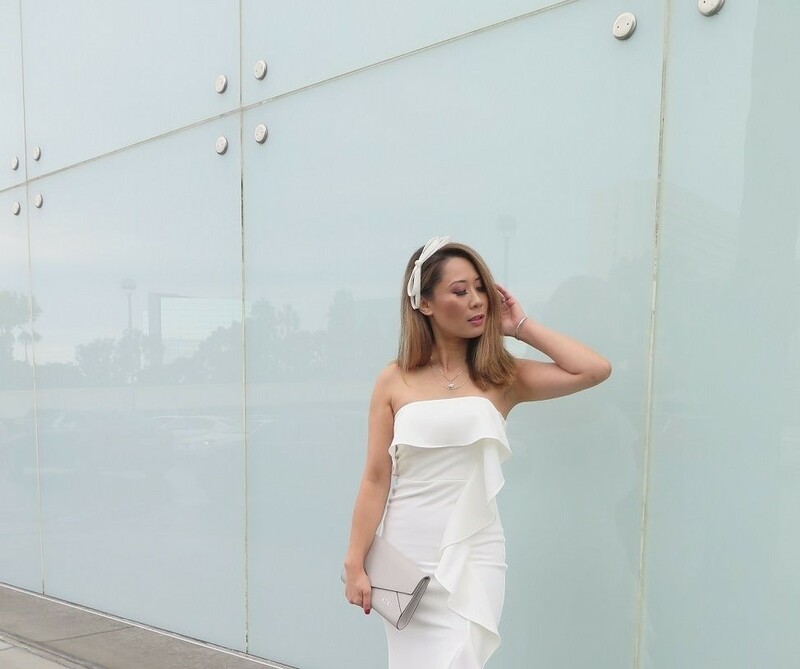 The 2nd annual Le Diner En Blanc Orange County 2018 took place at the Segerstrom Center for the Arts in Costa Mesa. It was raining this day so guests were quickly setting up their tables and decor. Once the tradition of waving the white napkins began, that would signal the beginning of dinner. 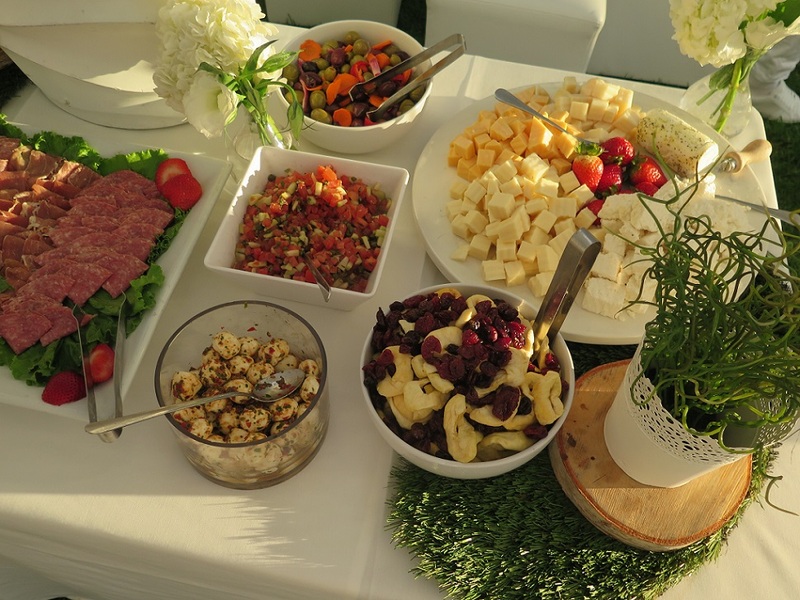 During dinner, guests would mingle and dine together and enjoy the company of familiar and new faces around them. Then, after dinner, comes the lighting of the sparklers which ends the dinner fete and kicks off the music for dancing. 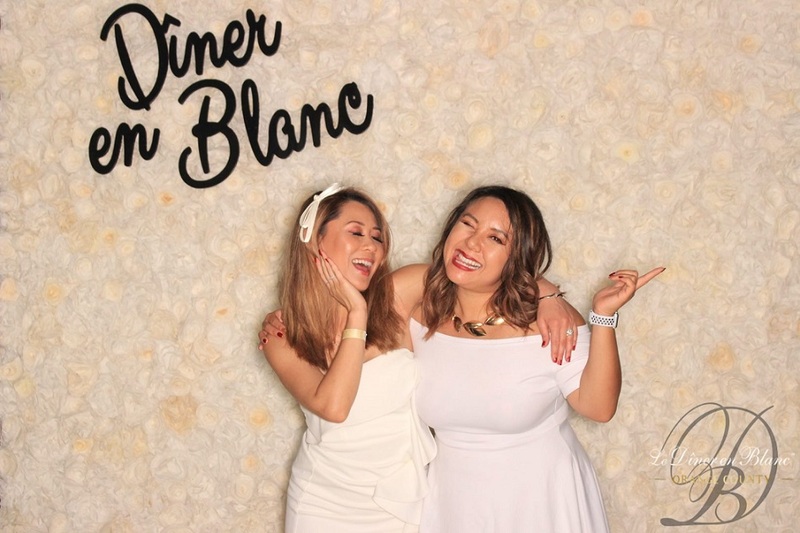 Fia joined me to attend Le Diner En Blanc so we got to share this first experience together. 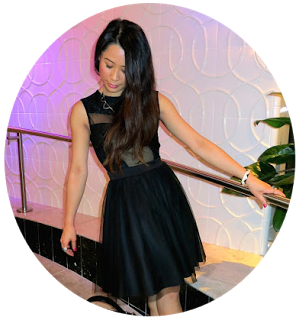 We stayed at the VIP Media Lounge where they served appetizers, drinks, and desserts. The perks of this was that this area was already set up so we did not have to provide tables and chairs ourselves. There was also a photo booth which, of course, we took pictures at. Then joined the music on the dance floor to finish the night away. So much fun! ***Thanks Reveille Inc. and the Le Diner En Blanc team for a wonderful experience that we'll cherish forever! 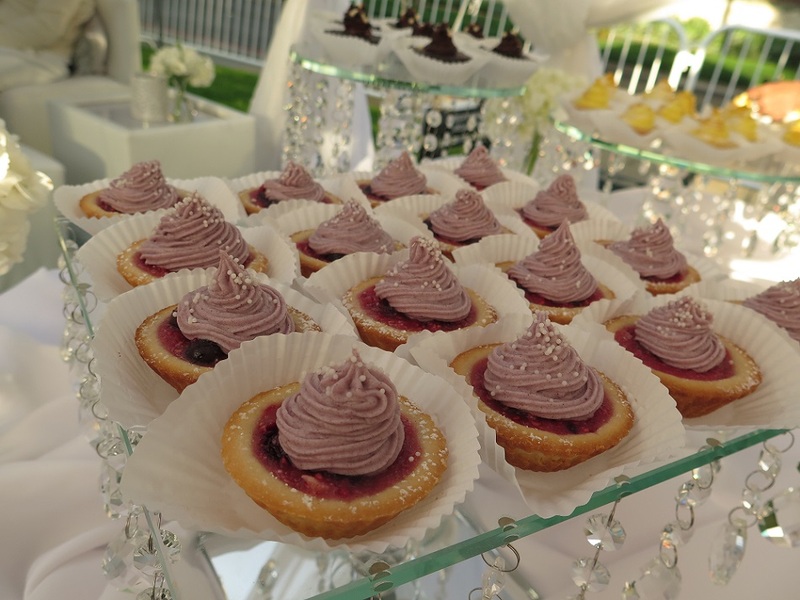 Heard of Le Diner En Blanc before? Will you join next time? 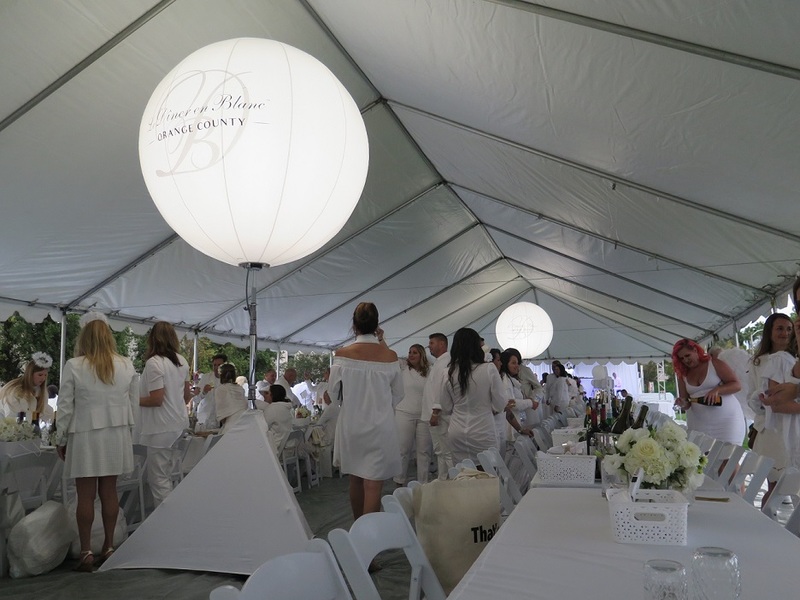 Click here to register and sign up for the 3rd Annual Le Diner En Blanc in Orange County. 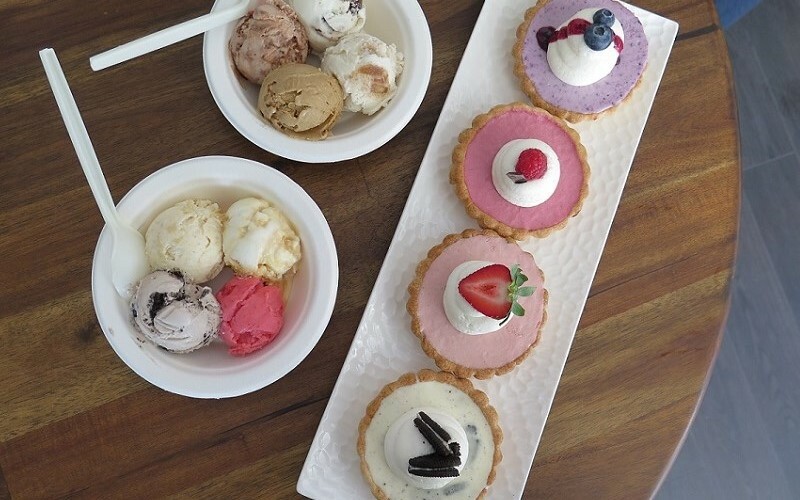 It's perfect for group dates, birthdays, or any celebration really! Thanks for reading and sending you hugs!